The Black Saint And The Sinner Lady [International] by Charles Mingus. 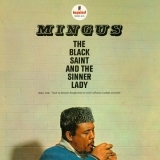 The Black Saint And The Sinner Lady is ranked as the best album by Charles Mingus. Showing latest 5 ratings for this album. | Show all 767 ratings for this album. Yeah, it's just the best record of all time. Not a single note out of place, and I mean that. Boy, do I mean that. By all contemporary accounts an obsessive band leader, (think J.K. Simmons in Whiplash) Mingus suffered nothing less than perfection when he began work on his great composition for an imagined ballet. 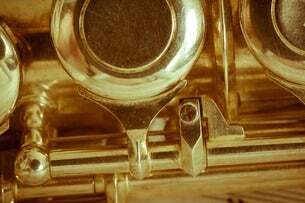 The moments of free improvisation on this thing have a funny knack of seeming somehow deliberate; every flourishing bassline, every wailing trumpet, every rolling snare – the songs cascade past your ears (/eyes?) like renaissance painting arranged to painstaking detail. With this record Mingus cut through the cool jazz of his predecessors to provide something simultaneously beautiful and horrifying. It may not be my personal favourite jazz record of all time, but if you listen to one jazz album your life, make it this one. Most of this is copied from the description of the album in my overall chart, do check it out if you have the time!! I am not a Jazz listener but this album is so so so good. I wish I could understand other Jazz records like I get this record. It is majestical the performance in the record. So powerful and so communicative. I definitely wouldn't call myself a jazz aficionado but I know this is a great album. this is the first jazz album that I've come across that has made me think "this will take a few listens to really understand". Even with crazy stuff like Coltrane's Ascension, I kinda get whats happening in general and what he's trying to do. But this seems different.